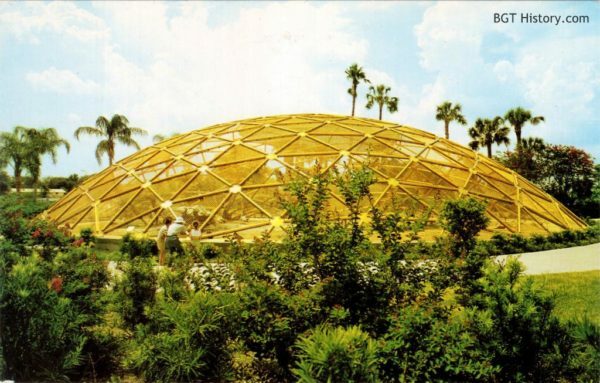 The Geodesic Dome was the park’s first major aviary, located within the Bird Gardens section near the former Anheuser-Busch Brewery. 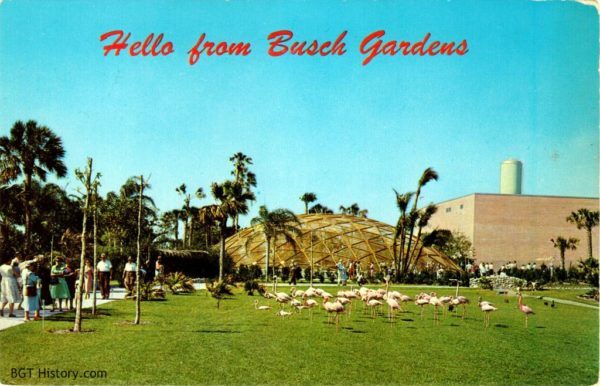 It was described in a 1964 newspaper article as being “made of gold anodized aluminum” and home to exotic birds including storks, pelicans and cranes. 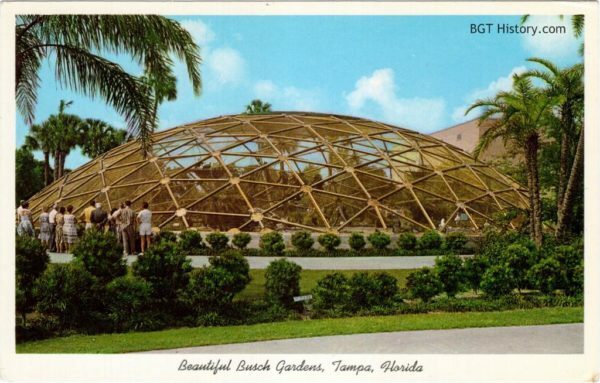 The structure was also known as the Adolphus Busch Space Frame, which according to a late 1960s brochure, housed the larger and rarer birds in the park’s collection. 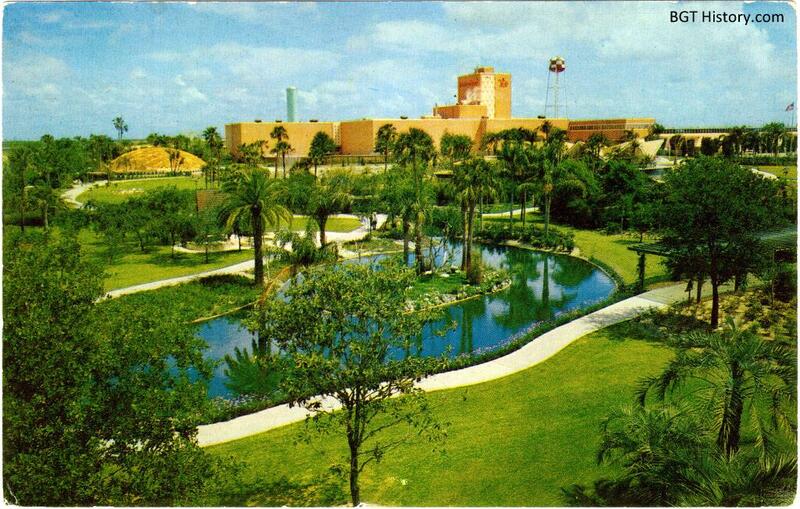 A 1974 brochure lists its collection including scarlet ibis, storks and other large birds. Additional details and images on the Geodesic Dome will be added in the future.